One of LightWerks’ flagship projects involved the transformation of a landmark property (nearly 100,00 square feet) into an ultramodern creative production facility for a premier entertainment studio. This seven-figure undertaking infused a historic space with amplified aesthetics and state of the art technology. Gensler’s architectural innovative design affords significant column-free spans, high-ceilings and large windows, terraced balconies, and a spectacular 9,500-square-foot amenity enriched rooftop deck. 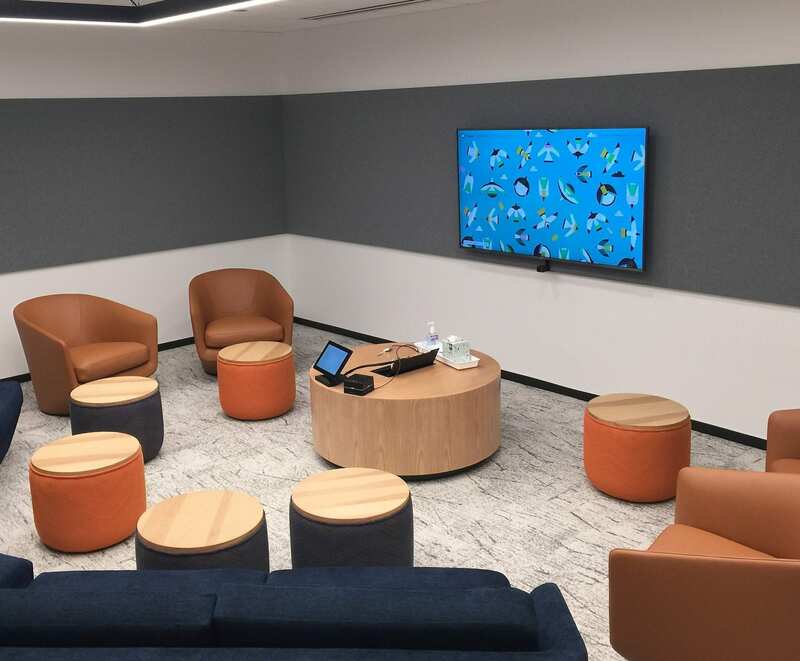 Throughout this 5-story headquarters, LightWerks delivered an array of audiovisual solutions including 20 huddle rooms, over 30 conference rooms of all sizes, and 4 interview rooms. Specialty spaces include a large training room, 4 screening lounges, a marketing “think tank” and 2 video-edit rooms. 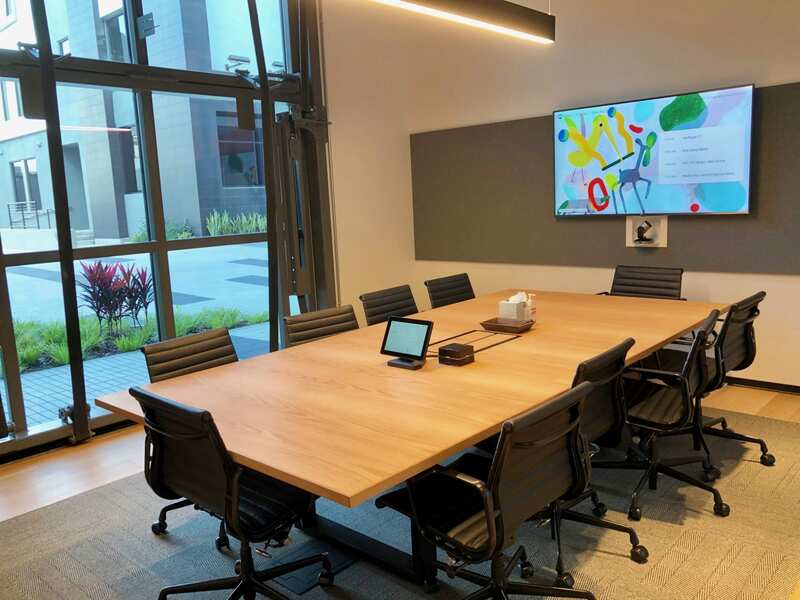 These rooms are all equipped with videoconferencing capabilities, utilizing the Google G-Suite platform. LightWerks’ engineering, installation and programming capabilities were the underpinning of this broad solutions offering. LightWerks continues its engagement with a comprehensive post-install TLC service coverage package to ensure and optimize the greatest use and capabilities of this significant and magnificent investment. LightWerks can design a custom Audio Visual solution to meet the needs of your company, district, or institution. 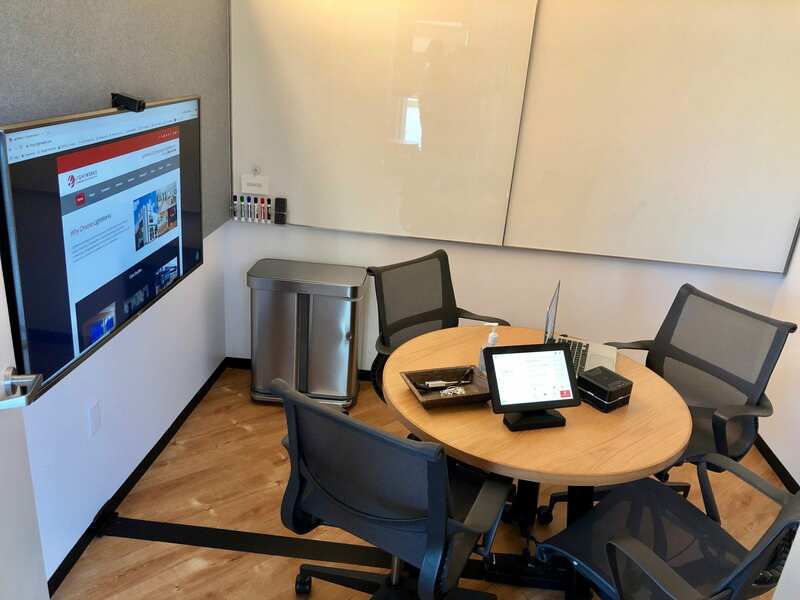 We specialize in interactive technology, cloud-based conferencing, and high quality audiovisual products to improve efficiency, increase collaboration, and enhance presentations in your organization.